The Prime Minister, Dr Motsoahae Thomas Thabane says Basotho produce high quality of wool and mohair hence the government has reached a decision of giving them an opportunity to sell in the country. Dr Thabane was addressing Leribe community at the public gathering held at Ha-Lejone in the Leribe district on Friday. He outlined developments achieved by government and challenges that are faced in the leribe district. 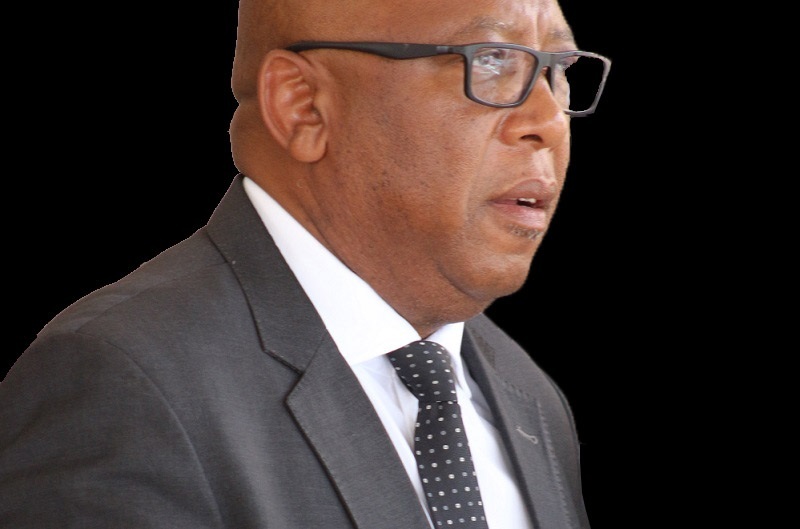 He said about 16 villages in the Leribe district have benefitted from government electrification initiative carried out by the Ministry of Energy, citing among others Ha Sepinare and Ha Ntseli villages within Malibamatṡo Constituency. 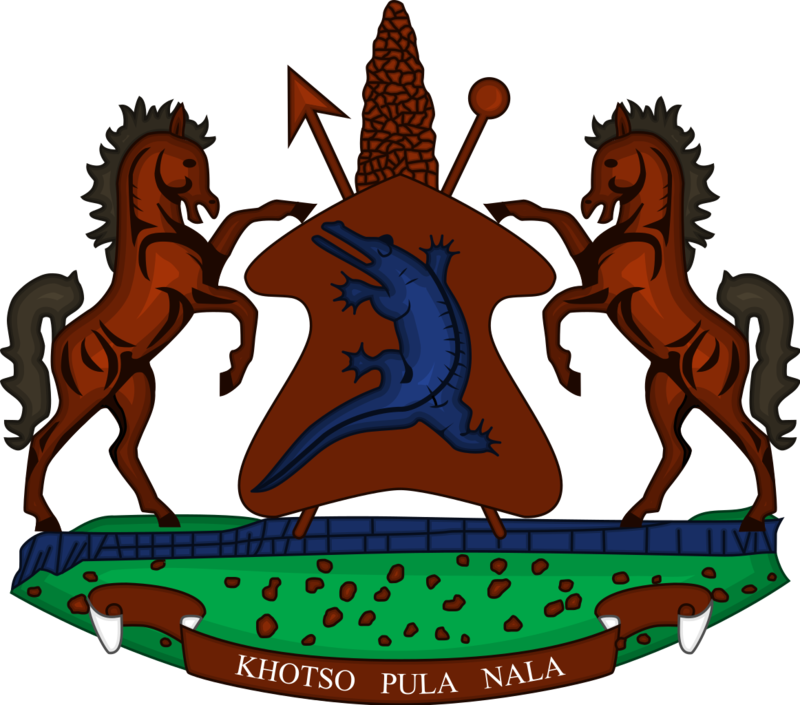 He added that the Ministry of Water is in the process of building Hlotse Multipurpose Dam at Hlotse River, saying the aim of the project is to supply water to villages surrounding Hlotse town and other nearby areas. Talking about the fight against stock theft, Dr Thabane said the Lesotho Mounted Police Service (LMPS) in association with Lesotho Defence Force (LDF) have deployed their members at different border posts and highly affected areas to combat stock theft which he commented seems to be mounting. He said the government is much concerned about corruption in the country hence the intension and plans to uproot it in all its forms, not considering the status and position of those involved corrupt activities. He therefore appealed to the police to be mindful of their mandate thus policing and ensuring public safety hence avoid engaging in corrupt activities and working together with the criminals. 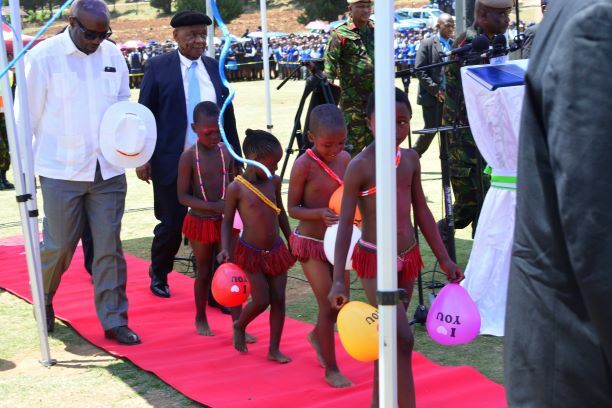 He also talked about improved service delivery, where he urged public servants to go out of their offices to offer services in communities once a month, saying the government has adopted the initiative as it brings services to the public. Dr Thabane commended Member of Parliament for ‘Malibamats’o Constituency for their initiative to build a house for one elderly and giving out wheelchairs to disabled individuals, hence appealed to others Members of Parliament in Leribe to engage in community empowerment activities so to improve the lives of the people. Speaking at the same event, the Member of Parliament for ‘Malibamats’o, Mr. Nto Moakhi said Leribe residents appreciate the developments made by the current government, singling out the construction of the tarred road from Ha Leshoele-Ha Setene to Ha Belo. 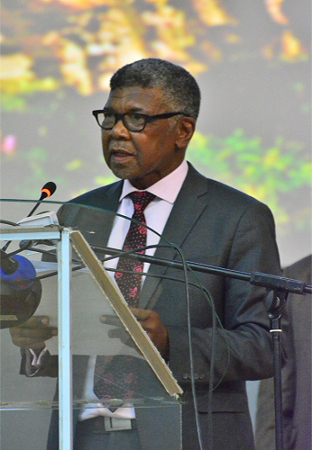 He said the Ministry of Health has improved its services at Motebang Government Hospital, whereby the patients who need more evaluation will be transferred from the clinics to the hospital, adding that the hospital is also offering dialysis treatment to patients with dysfunctional kidneys. The Principal Chief of Leribe, Chief Joele Motṡoene appealed to the Ministry of Tourism, Environment and Culture to protect and preserve tourism sites in the country, citing the stone found at Lejoe Motho within ‘Malibamatṡo constituency which he believed could attract tourists. 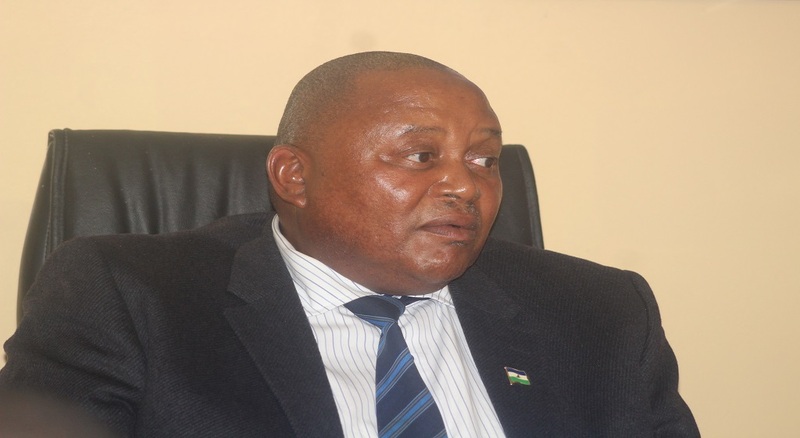 Chief Motṡoene appealed to government to consider opening the Lesotho Post Bank branch at Ha Lejone so to serve residents and cut transport costs and long distance trips for elderly persons. Present at the occasion included among others the Minister of Agriculture and Food Security, Minister of Water Affairs, Minister of Health, Minister of Justice and Correctional Service, Minister of Public Service, Minister of Police, Deputy Speaker of Parliament and Vice President of the Senate, senior government officials and the public. A similar public gathering will be held in Mohale’s Hoek on November 21.